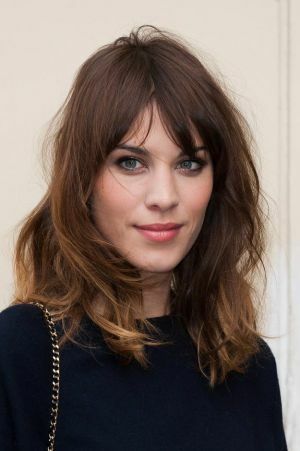 British TV presenter, former model and fashion “it girl” Alexa Chung will take part in a question and answer session at Fashion Forward Season Three as part of a diverse program of talks, presentations and panel discussions announced for the April 10 to 13 event in Dubai. Chung was confirmed this week amongst a host of big fashion names, including New York Fashion Week creator Fern Mills, to take part in this season’s d3 Fashion Talks. Discovered as a model aged 16, Chung went on to grace catwalks, magazine covers and TV screens and has been a contributing editor to Vogue. The 30-year-old front row regular at international fashion weeks will take part in the Q &A, entitled In Conversation with Alexa Chung, on April 12 and will also cast her eye over some of the Fashion Forward runway presentations. Mills, who went on to lead the introduction of fashion weeks in cities such as Miami, Los Angeles, Berlin and Sydney, will share her experiences and advice through a talk on Fashion Week: Going Forward on April 13. As well, Ennio Capasa, the designer and creative director of CoSTUME NATIONAL, will discuss the design concept behind his brand in a talk on April 12. Fashion Forward founder and CEO Bong Guerrero said the event was committed to bringing high calibre experts to the region each season through a diverse roster of talks and discussions “to complement the sartorial side of the event”. As part of the line up, d3 will host a panel discussion on the relationship between art and fashion, with other panel discussions also scheduled on the e-commerce world and local innovation, which will be hosted by the Level Shoe District. Lee-Anne Carter, head of trend research at Swarovski, will also hold a talk entitled Crystal Inspiration Themes. Dr Amina Al Rustamani, Group CEO of Tecom Investments, the master developer behind Dubai Design District (d3), said Fashion Forward was an important event in the industry’s calendar and offered emerging and established designers and opportunity to showcase their collections to a local, regional and international audience.